Bill requiring public sector to include haredim, immigrants in quotas passes in committee, prepared for vote by Knesset. The Knesset’s Constitution, Law, and Justice Committee passed the initial reading this week of a bill that would extend the definition of minority groups in affirmative action to include haredi Jews and immigrants. Approved unanimously by the committee, which is chaired by MK Rabbi Nissan Slomiansky (Jewish Home), the bill requires that public agencies meet quotas for the employment of haredim and new immigrants. The bill also requires all government-owned corporations to include haredim and immigrants on their boards of directors. The bill, which was sponsored by United Torah Judaism MKs Uri Maklev and Moshe Gafni, will now be sent to the Knesset for the second and third readings. At present, affirmative action quotes in the public sector are enforced for women, Ethiopian Jews, Arabs, Druze, Circassians, and the disabled. Representatives of the Yisrael Beytenu party, whose constituency is primarily immigrants from the former Soviet Union, pushed for the inclusion of new immigrants, arguing that those who have lived in the country for less than 15 years should be included. ”There will be no separation between immigrants and haredim,” said MK Yulia Malinovsky. “You have absorbed us into cleaning and unskilled labor. You sit in your offices and tell tales to each other. You cannot tell them to me. Those who have not studied in Israeli schools cannot be equal”. In the bill’s final version, new immigrants are, for the purposes of affirmative action, any citizen born outside of Israel who immigrated after age 18 and who has resided in Israel for less than 12 years. 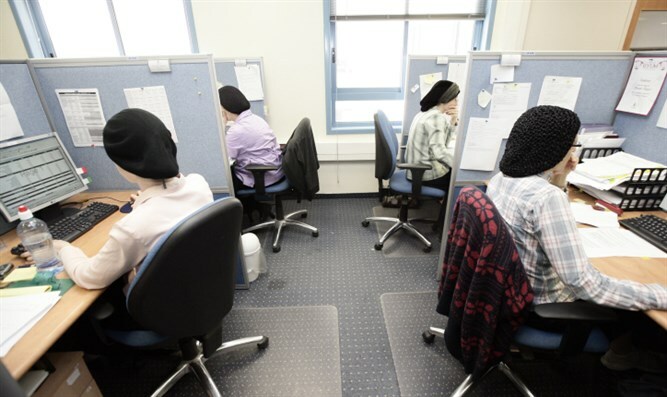 The legislation is just the latest example of a broader effort by the government to expand the definition of protected minorities to include haredi Jews.